You probably already know about bullfighting and the controversy surrounding this ancient tradition, but there’s another less known tradition that claims the lives of tens of thousands of Spanish hunting dogs every year. And worst of all, nobody seems to want to do anything about it. Galgos, or Spanish greyhounds, are an ancient breed of hunting dog that was once raised only by Spanish noble families. Today, these beautiful animals have been reduced to tools that modern-day hunters dispose of in a variety of gruesome ways as soon as the hunting season ends. The traditional explanation for their cruelty is that if the dogs have shamed their master by not performing to their expectations, this dishonor must be washed away by torturing and killing the animals, but in reality, it’s all about cutting costs. 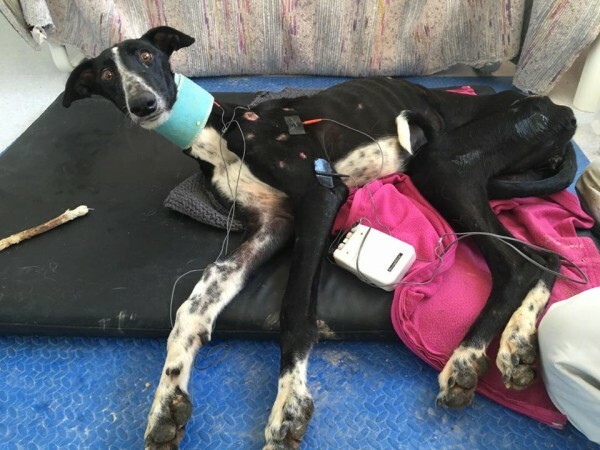 It makes more sense to them to buy new Galgos from a breeder for about 10 euros a piece, than spend money on feeding the ones they already own until the next hunting season. So they just get rid of them in the most appalling ways imaginable.